The medical term used to describe rolling inward of the lower eyelid and eyelashes towards the eye is entropion. The skin of the eyelid and the eyelashes rub against the front of the eye — the cornea — and the mucous membrane that protects the eye (the conjunctiva). This rubbing can lead to excessive tearing, crusting of the eyelid, mucous discharge, a feeling that something is in the eye, irritation of the cornea and impaired vision. 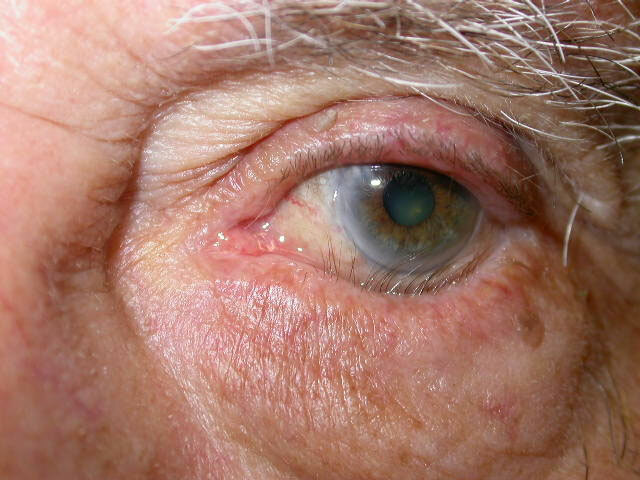 In most cases, entropion occurs because of age-related relaxation of the tissues of the eyelid. Some cases result from scarring of the inner surface of the eyelid caused by chemical and thermal burns, inflammatory diseases or allergic reactions. Occasionally, entropion can be present at birth if the eyelids do not form properly. Ectropion is the medical term used to describe sagging and outward turning of the lower eyelid and eyelashes. This can lead to excessive tearing, crusting of the eyelid, mucous discharge and irritation of the eye. 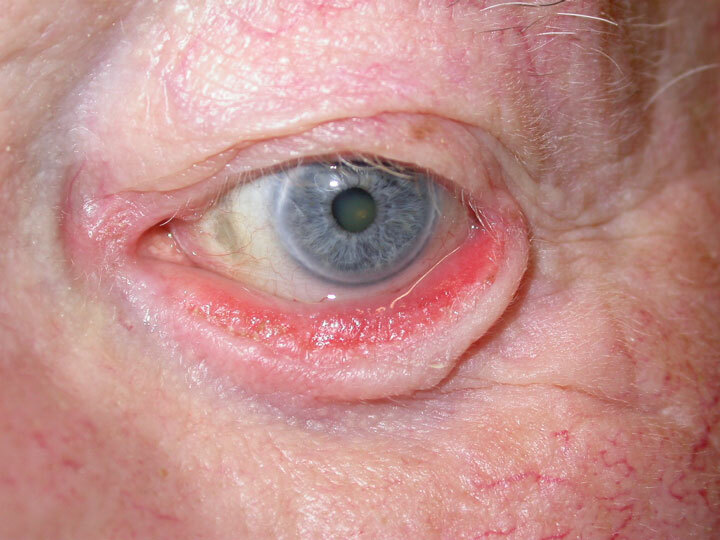 In most cases, ectropion occurs because of age-related relaxation of the tissues of the eyelid. Some cases are caused by scarring as a result of many years of sun-exposure, chemical and thermal burns, injury, skin cancers, or previous eyelid surgery. Occasionally, ectropion can be present at birth if the eyelids do not form properly. Entropion should be repaired surgically before the rubbing damages the cornea by causing infection and scarring. Before surgery, the eye can be protected by taping the lower eyelid down to the cheek and using lubricating drops and ointment. In some cases, stitches (sutures) can be placed through the lower eyelid as a temporary measure until more definitive surgery can be performed. Surgery to repair entropion is usually performed under local anesthesia as a day case procedure. In most instances, i will tighten the eyelid and its attachments, usually through a small incision at the outer corner of the eyelid, and will also re-attach the internal eyelid attachments, known as retractors. Ectropion should be repaired surgically before the front of the eye (the cornea) is damaged. The surgery to repair ectropion is usually performed under local anesthesia as a day case procedure. In most cases, I will tighten the eyelid and its attachments, usually through a small incision at the outer corner of the eyelid. Sometimes sutures through the lower lid are also required in order to re-attach the internal eyelid attachments known as retractors. Occasionally, a skin graft may also be required. You will need to apply an antibiotic ointment to the eye for a week and to the incision line for about two weeks. Some of the stitches will be removed at your first return visit. You may have a tender, lumpy area at the outer corner of the lower eyelid for a few weeks. After your eyelids heal, your eye should feel comfortable and you will no longer have the risk of corneal scarring or infection. If a skin graft is required, you will have an eye pad over one eye for a week.